When something happens that you don’t like, when something comes up that hurts, when difficulty strikes…what do you? Many times our human nature response differs from our Spirit-led response. I wonder how many posts or tweets on social media would have been stated differently, if stated at all, had the response been led by the Spirit? To be led by the Spirit includes the fruit of the Spirit found in Galatians 5: love, joy, peace, patience, kindness, goodness, gentleness, faithfulness, and self-control. The human nature response includes qualities also found in Galatians 5: selfishness, hatred, idolatry, envy, discord, among others. I have found that when I take those things that I don’t like, that hurts, that are difficult…to the Lord He enables me to view the circumstance from a different perspective that also includes strength, grace, and His peace to get through it. A believer is at his or her best when we look to the Lord and let Him guide us. He is able! Remember that believers have a powerful and privileged tool called prayer that many times is not our first response! James says that the prayer of a righteous man is powerful (James 5:16b)! Also Paul wrote that “in everything by prayer and supplication with thanksgiving let your requests be made known to God. 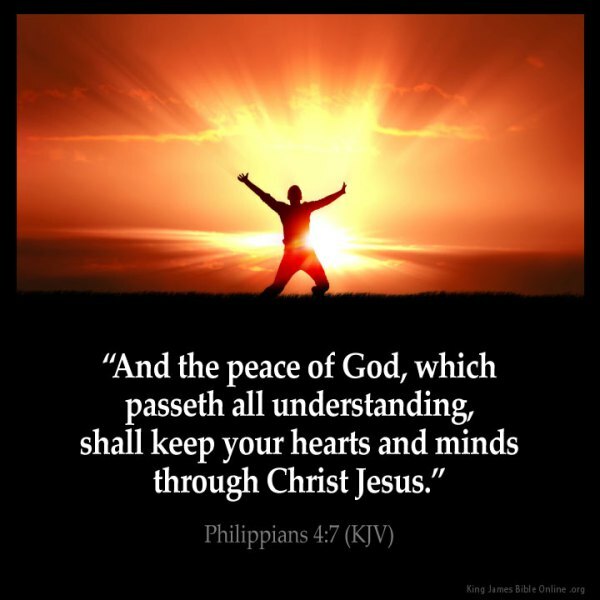 And the peace of God, which surpasses all understanding, will guard your hearts and your minds in Christ Jesus” (Phil 4:6-7). When was the last time prayer was your first reaction to something? If we’ll pray then we can experience the peace of God! The battle is the Lord’s and we should first look to Him so that He can do His work (1 Samuel 17:47). He can do more in 1 second than all of us could do in a lifetime! What a mighty God we serve! This entry was posted in Uncategorized and tagged grace, peace, Prayer, response, strength.